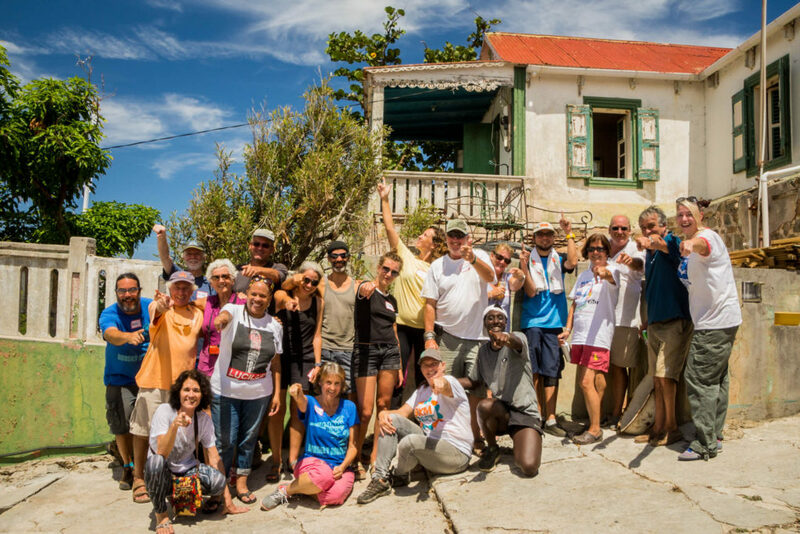 January 29, 2019—French Quarter, St. Martin—Local association Les Fruits de Mer invites everyone on St. Martin to help make a museum together this Sunday, at the Amuseum Naturalis February volunteer day. Volunteers of all ages can lend a hand on Sunday, February 3rd from 3-5pm and then enjoy refreshments together right after. Amuseum Naturalis at The Old House is a free museum of local nature and heritage located at the historic Old House in French Quarter. Phase One of the Amuseum has been open since July 2018. It includes an exhibit hall, a botanic walk, several stunning viewpoints and gardens for bush tea and traditional crops. The Amuseum is an all-volunteer project. Over the last year, over 200 volunteers spent over 4,000 hours working on the Amuseum. Since opening, the Amuseum has welcomed over 3,000 visitors, including over 1,500 local students. The February volunteer event is 3-5pm on Sunday, February 3rd at Amuseum Naturalis at The Old House, on the hill above Le Galion beach. The public is also invited to visit the Amuseum during regular opening hours, Tuesday to Saturday 9am to noon. Admission is always free, and free school and youth group visits are also offered. For more information, visit http://amuseumnaturalis.com or find Les Fruits de Mer on Facebook. Les Fruits de Mer is a non-profit association based in St. Martin whose core mission is to raise awareness about nature, culture, and sport. The organization carries out this mission through publications, an education program, and special public outreach events that entertain, inspire, and inform. The association is currently accepting new member and corporate benefactor member applications on its website, http://www.lesfruitsdemer.com. Amuseum Naturalis is a free museum of the nature, history and culture of St. Martin and the Caribbean, created by Les Fruits de Mer. It is located at the historic Old House in French Quarter on the hill above Le Galion. For the latest information about exhibits and special events, visit http://amuseumnaturalis.com.